I love books or movies that leave me introspective. Not ones that leave me morbidly contemplating how sordid the world can be and how much evil humans can perpetuate upon one another… but stories that make me question things I take for granted. So I’d like to share a few of my favorites with you. 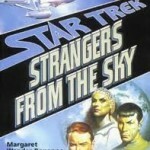 I was 16 when I first read “Strangers from the Sky” by Margaret Wander Bonanno. It’s a Star Trek book, but the concept that it explores, like many of the concepts that Gene Roddenberry’s most famous child explored, goes beyond science fiction. What if recorded history is merely what was written down? What if what we ‘know’ is merely what we’ve been told? Take it a step further… What if what we ‘remember’ is only a part of what actually occurred, or what if our ‘memory’ is false? “I’ll only believe it if I see it!” But can we believe it, even then? Another of my childhood favorites, devoured during one long sick weekend when I was about 14 years old, ‘The Complete Sherlock Holmes” by Sir Arthur Conan Doyle. 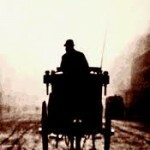 Holmes often expounded on how unreliable eyewitnesses were. Our memory is susceptible to suggestion. When we don’t see something clearly, our minds tend to fill in details which weren’t actually present, or remove things that were there. A simple google search will bring up a plethora of articles discussing just such problems which come up during judicial cases involving juries. What is fact? Do our history books record the facts? 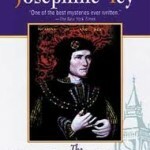 There’s another book I read, or rather ‘listened to’ more recently, called, ‘The Daughter of Time’ by Josephine Tey. It explores a historically accepted ‘fact’, something pretty much universally ‘known’ by all, about one of England’s Monarchs, and bit by bit, uncovers the actual truth. The real story, there for anyone who cared to do the actual research, and already discovered by many, though most believed the propaganda recorded in most of the history books. When I ponder these things these days, it always brings to mind the Green Day song, “American Idiot” (link contains song with graphic lyrics). “One nation controlled by the media…” is how part of the song lyrics go. It isn’t merely this one nation though, or this one generation. How many of us truly think to question what we see on the news? How many of us ask, when we see some sensational video, “what happened before and after this snippet which might give an entirely different perspective on it?” How many times a day do you question what you’ve seen, what you’ve been told, what you’ve been taught, or wonder what you’ve been indoctrinated in since you were a child? How many ‘truths’ do we take for granted? How often do we become complacent or outraged based on what we’ve watched on TV or seen in an article on the internet, and how often do we question the bias behind this ‘news’? No one piece of news, or eyewitness account, contains the whole of any truth. Unless we see it through a hundred eyes and gain an understanding of each differing but valid perspective, whatever we know, it’s merely a small portion of the whole. I have learned: Take nothing for granted. Question everything. What you ‘know’, may be nothing more than propaganda or a skewed version of the truth. Posted by Rena on Wednesday, December 21, 2011, at 8:11 am. Filed under Communication, Politics. Follow any responses to this post with its comments RSS feed. You can post a comment or trackback from your blog.